Business description - SKS Textiles manufactures various fabrics like 100% Cotton – Lycra and Non-Lycra, Blended Cotton Suiting – Chief Value Cotton, Polyester Cotton, 100% Cotton Yarn Dyed , Polyester Viscose, Terry Rayon Suiting and Mock Linen under its brand names – Pierricarrlo, Cotbbelly’s and Earthen Belly. The company also undertakes corporate orders for Finished Fabrics and Grey Fabrics for corporate brands such as Raymond, Arvind, Siyaram’s, Digjam Limited, etc. Some of its manufactured products require certain processing like dyeing, value additions etc. which are outsourced to third parties and the finished goods from such third parties are directly sent to its Packing and Storage unit. The manufacturing unit is located at Sonale, Bhiwandi in Maharashtra and majority of the manufactured goods are dispatched from this unit itself. It also has a Packing and Storage unit at Kalher, Bhiwandi in Maharashtra and it dispatches the traded goods and certain outsourced processed goods from this unit. It has a dedicated in-house Testing and Quality Control Team which undertakes rigorous testing and quality management. SKS Textiles has dedicated semi-automatic and manual testing machines. 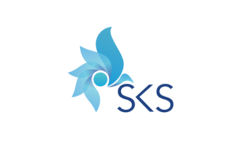 SKS Textiles IPO allotment status will be available on Sharex Dynamic's website. Click on this link to get allotment status. Business is reasonable. Price is stiff !! Impressive growth but stock is very very costly at 26 PE. Low return on net worth means there is high debt in its books. I invested in Jhandewalas and planning to rotate the funds but this one doesn’t look like a good choice.